Besides the production version of the model Soul, Kia will bring to Paris a concept version of the new crossover that will benefit from a train running hybrid. Soul Hybrid Concept is propelled by a gasoline engine to 1.6 liters and an electric motor that offers 20 horsepower and 105 Nm. Power is transmitted to the front wheels through a transmission CVT (continuously variable transmission), while the energy resulting from the process of braking assist in rechargeable batteries. According to Kia, a concept record average consumption of 4.9 liters per 100 km and CO2 emissions of 117 g / km. 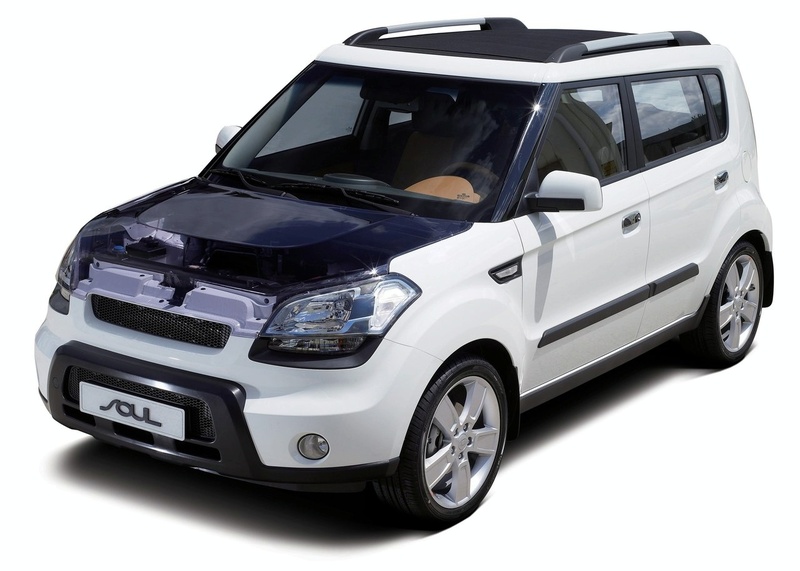 Soul Hybrid Concept comes equipped with a panoramic retractable roof, hood and transparent floor.